SPEED – Fast response time. Customers can have quick access to your products and won’t be inclined to leave your site because they grow impatient. SETUP – By choosing Syberplex Technology for your Ecommerce Solution, you can have the people that wrote the software set it up for you. None of the “One Size Fits All”. Your site will be set up to fit YOU – not YOU squeezing into your ecommerce site. NO OBLIGATIONS – once you are setup with our ecommerce software, you are not obligated to us by long term contracts. You are free to choose your own host or make any changes you like. LOW MAINTENENCE – Selling your products online with us is easy – we can help reduce your long term expenses by providing an easy to use design for you to easily maintain your inventory. SCALABILITY – Although offered at an affordable price, our Ecommerce Software is an Enterprise Level Software; as your company grows and your online sales soar, our Online Shopping Cart will be able to handle the growth! SEARCH ENGINE OPTIMIZATION – So what if you have the ‘prettiest site on the web’… and nobody can find you? … yes, we understand the answer to that! When you choose us to provide an Online Shopping Cart to sell YOUR products online, you can be confident that we will make it so potential customers find YOU, not your competitor! B2C: Business-to-Consumer Solutions to help you increase your bottom line! Increase your target market – our Online Shopping Cart is designed for Search Engine Optimization (SEO) to help you reach your ENTIRE audience. Our intuitive designs are very vast and easy for your customers to use – they will come back again and again! B2B: Business-to-Business Solutions for your WHOLESALERS, DEALERS and RESELLERS of your products. Your wholesalers will see both WHOLESALE and RETAIL pricing for your products. Do you have customers with different discount schedules and multipliers? No problem – Your wholesale pricing can be set up to meet your needs! BILLING: Solutions flexible enough to fit your online business needs. Quickly integrates with the payment gateway of your choice. Bill Me Later and Standard Invoicing with any type of customer. Shipping Charges based on a percentage of the purchase. Shipping Charges based on a S & H per item basis. Shipping Charges based on weight. Custom integration to meet YOUR needs. 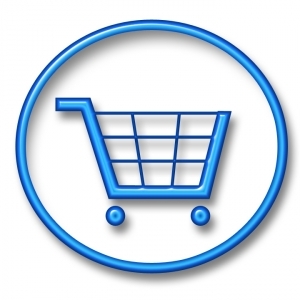 Our ecommerce software accurately calculates shipping charges for you – saving you time. HOSTING: the choice is yours. WE HOST THE SITE FOR YOU: You will never have to worry about your ecommerce website – we can host it for you, monitor its performance and take the worries away. YOU HANDLE THE HOSTING: You are welcome to host the site yourself or choose another provider. EASY ADMINISTRATION: Easy to maintain inventory items. Very intuitive Administrative Portal makes maintaining inventory SIMPLE. Efficient Image Utilities – upload a picture of your product, our software will automatically create a thumbnail and a larger image for your customers that want to click for a larger view. Maintain your customer base from the Portal, create, update and close business accounts over the web!